This door photo I took in my house was inspiring me for this project. 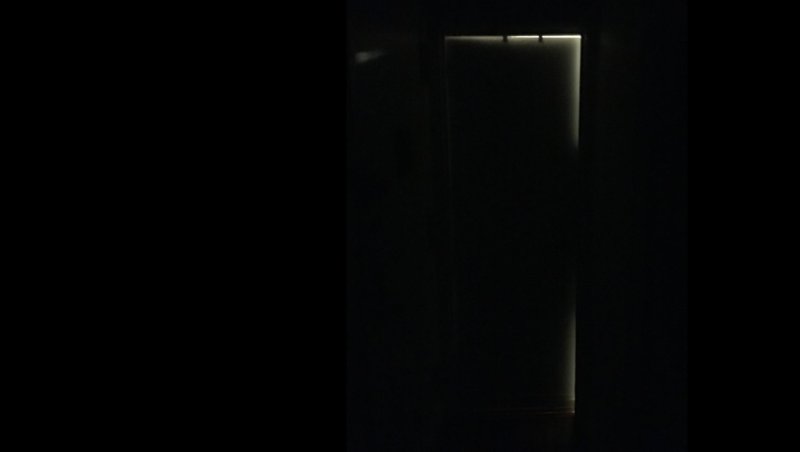 The shape of light from my room make me believe there is a door. So we started to make ideation with invisible door concept for this project. 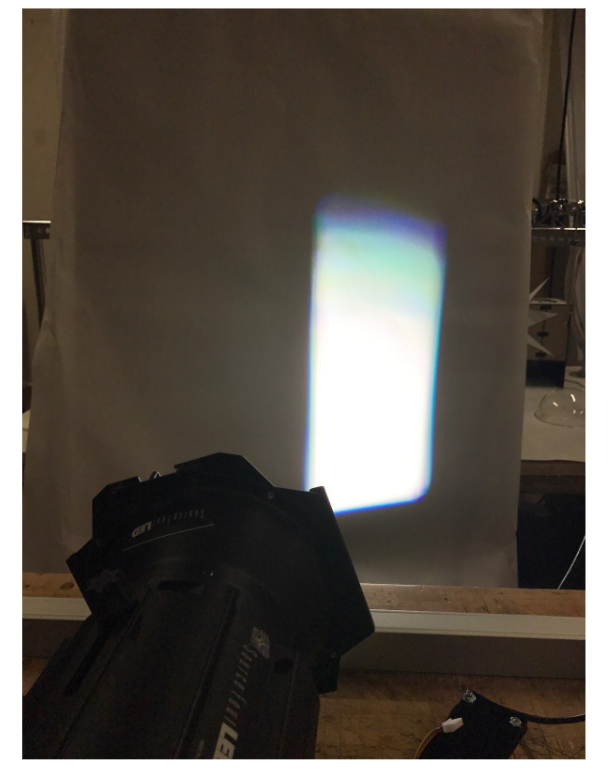 We tested different of light source and shade for the shape of light with led lights. It was great but it was difficult to make a straight long light for the shape. That was why we tried to use DMX lights for strong light source. DMX light was super great! we were really into it to use and make a various shape of light. This was a really cool effect we could get with a strong daylight source with shaders. It actually looked like a morning sunshine from windows. 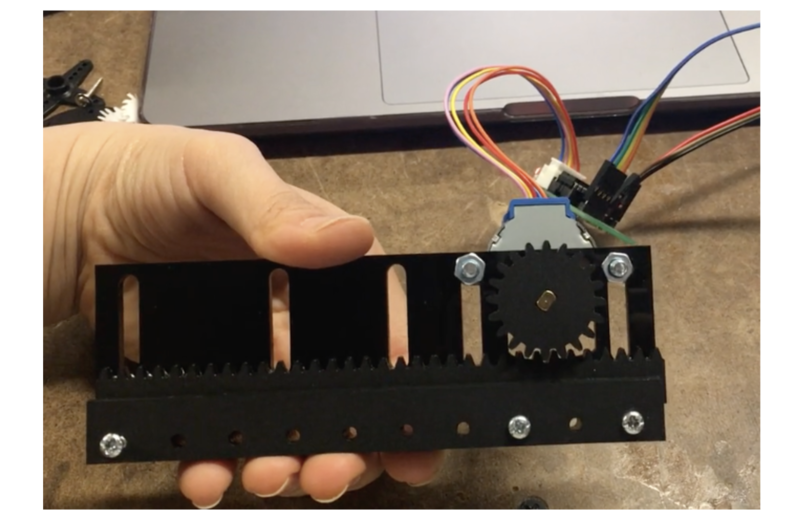 So we would like to make our own moving shader with stepper motors and designed rack and pinion. But there were significant problems. Heat problem, inside of DMX light was really hot. Even I put the paper infront of light, we could see the smoke. Focusing, the readymade DMX light is already set for all focus position for shader and spaces. Even we put something inside, it lost the clear focus. So we start to use the light shape as a circle with moving head stage light.